There's no mistaking which lens I used to capture this photo of a wedding ceremony on the deck of the MV Skansonia in Seattle! 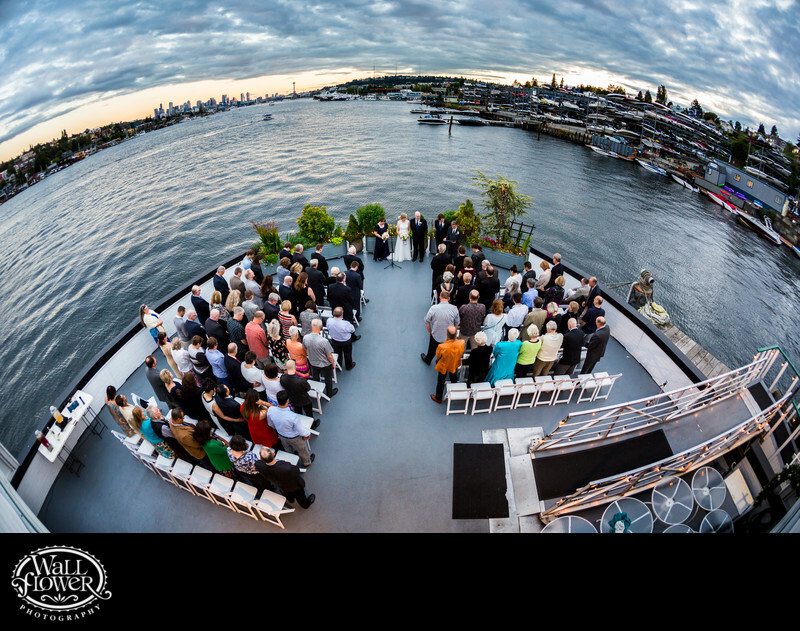 My trusty fisheye lens, plus my positioning on the upper deck of this historic, retired ferry boat, provides an extremely wide angle of view on the ceremony, Lake Union, and the Seattle skyline (including the Space Needle) in the background. Sunset had mostly faded away by the time the ceremony started, but those dramatic clouds at dusk provide a lot of drama to the photo.